Strong property rights have long been touted as key to increased performance of the rural economy in developing countries. Indeed, in an overwhelmingly agrarian economy like Ethiopia, with state ownership of land, increased land tenure security of individual farmers is expected to play a significant role in factor allocation within and beyond the agricultural sector. 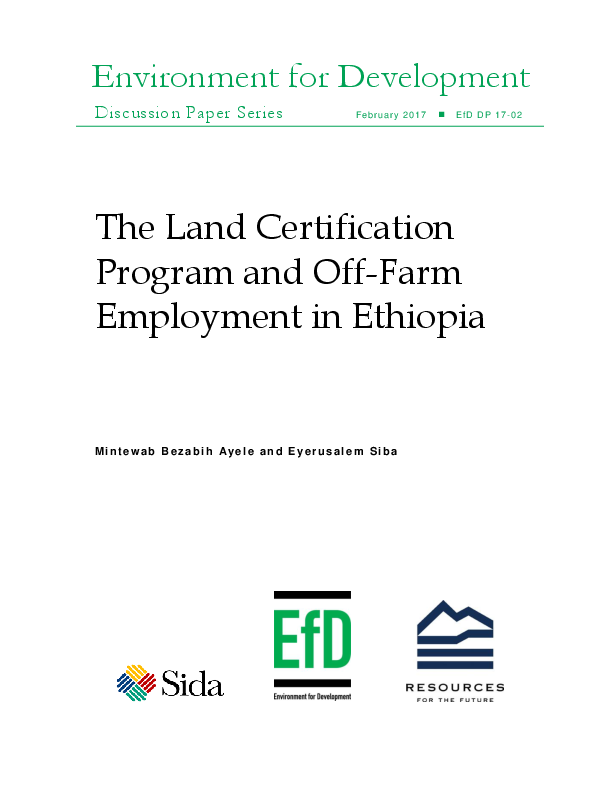 This paper analyses the impact of a land certification program on farmers’ off-farm participation, based on household-level panel data collected in the Amhara Region of Ethiopia. Identification of the program’s impact relies on the sequential nature of its implementation and application of the Difference-in-Differences strategy. Our results suggest that certification is a significant determinant of participation in major off-farm employment activities. The program’s effect is not shown to depend on size of landholdings.